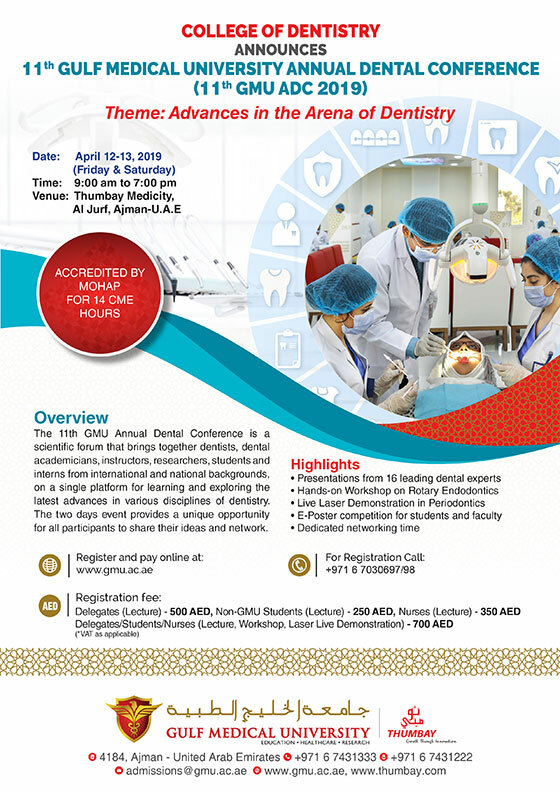 The 11th GMU ADC is a scientific platform that brings together students, interns, dentists, dental academicians, instructors and researchers from National and International backgrounds. The two- day conference provides a forum for learning and exploring the latest advances in various disciplines of Dentistry. We provide a unique opportunity for all participants at this event to share their ideas and improve their network. To expand knowledge in various disciplines of dentistry by active participation. To create interaction among dentists of different institutional backgrounds and experiences. To acquire advanced knowledge about the practices in future dentistry.